Security Council renews a resolution facilitating the cross-border delivery of aid to millions of Syrians affected by civil war. The UN Security Council on Tuesday renewed a resolution facilitating the cross-border delivery of aid to millions of Syrians, while complaining previous such measures were not seen through on the ground. The text was adopted unanimously by the 15 member states, which include Syrian ally Russia. The resolution extends authorization for UN humanitarian convoys to cross into Syria without the consent of the Damascus regime, in line with a previous text adopted in July 2014 and due to expire in January. Since last year trucks have passed through rebel-held areas from Turkey, Jordan and Iraq. The document said the Security Council was "gravely concerned at the lack of effective implementation of its resolutions" calling for greater facilitation of aid deliveries. It also expressed "further grave concern at the continuing and growing impediments to the delivery of humanitarian assistance across conflict lines, including through a decline in convoy approvals by the Syrian authorities." Between 2013 and 2015, it said, the percentage of convoys approved by Syrian authorities declined from 65 percent to 29 percent. In all, some 4.2 million Syrians have fled the country while 4.5 million remain in "hard to reach areas," the Security Council said. A total of 393,700 civilians are trapped in even worse off "besieged areas," it said, warning that "the situation will continue to deteriorate further in the absence of a political solution to the Syrian conflict." In October, shortly after Russia started conducting airstrikes against rebels in Syria, the United Nations humanitarian chief warned that the escalation had complicated the already difficult task of delivering aid to the millions in need across the country. 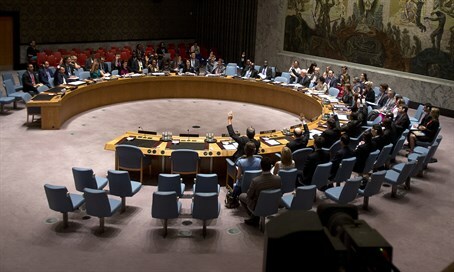 The UN Security Council has been unable to take any serious action to stop the fighting in Syria, due to the veto powers in the Council of President Bashar Al-Assad’s allies Russia and Syria. The two countries have vetoed several resolutions that would have targeted Assad, including one that would have referred the Syrian crisis to the International Criminal Court (ICC) for a probe into possible war crimes by both the Syrian army and the rebels.